I am sure you have all heard about the tragic news that the BBC are thinking of closing down BBC 6Music. Here is an address where you can email your opposition to this. 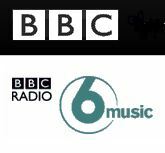 If you agree that BBC 6Music is an amazing radio station and needs to be saved you can lodge your complaint by emailing them direct about the proposed closing down of 6Music at srconsultation@bbc.co.uk Thanks for your help! Protest now or it will be gone. If you want to see the sort of coverage they do, see http://www.bbc.co.uk/6music/events/hub/artists/squeeze.shtml Squeeze live from Latitude in 2009. Classic! One Response to "BBC 6Music – an act of cultural vandalism"